A few years ago a correspondent accused me of injecting my Christian beliefs and sensibilities into my interpretation of Titian’s “Sacred and Profane Love”. 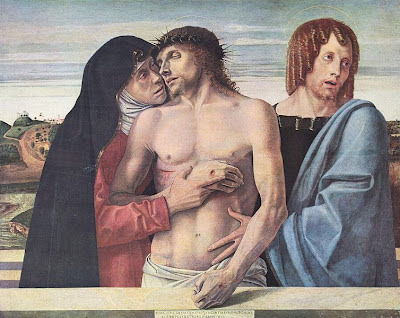 Any interpretation of the two women in the famous painting that sees them as Mary Magdalen must be rejected out of hand since the Renaissance is all about the revival of pagan antiquity. I admit that I am a Roman Catholic but I have argued elsewhere in this blog that it is my argument that counts, not my religion. 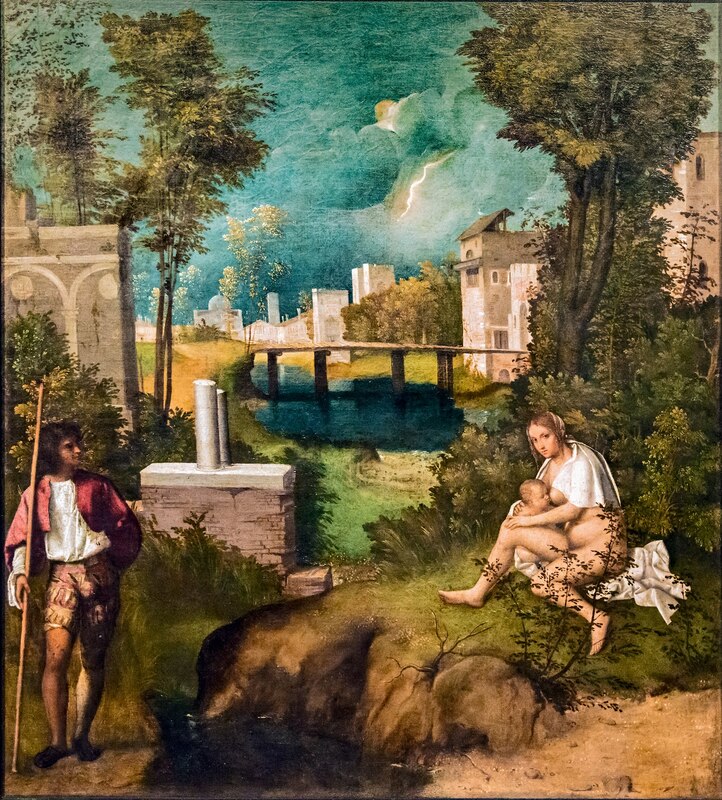 I did not paint the “Sacred and Profane Love”, nor for that matter did I paint Giorgione’s “Tempest”. I have only interpreted both paintings as having sacred or religious subjects. It is the religion of late fifteenth and early sixteenth century Venetians that matters. As it developed in the later Middle Ages the cult of the Sorrows of the Virgin, or the Mater Dolorosa, had a variety of functions, high among them that of serving as an objective correlative for the discharge of grief and suffering in the face of successive waves of plague sweeping through Christendom…. Here is Duffy’s English translation of the Stabat Mater. Come then Mother, the fount of love, make me feel the force of your grief, make me mourn with you. Make me weep lovingly with you, make me feel the pains of the crucified, as long as I shall live. I long to stand with you by the Cross, and to be your companion in your lamentation. Grant that I may carry within me the death of Christ, make me a partner in his Passion, let me relive his wounds. Every parish church contained an image of this Mater Dolorosa, for all were dominated by the Rood across the chancel arch, invariable flanked by the mourning figures of Mary and the Beloved disciple. Other images, however, proliferated to sharpen the point. 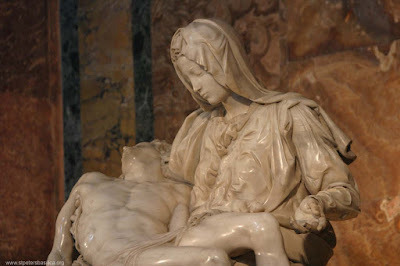 Of these the most widespread was the Pieta, or image of Our Lady of Pity. Of course, the most famous Pieta is Michelangelo’s work now in St. Peter’s basilica in Rome. It is very likely that it was originally intended to be placed on a slab atop the grave of the French Cardinal who commissioned it. The genius of Bellini and Michelangelo was so great that you don’t have to be a Christian to be moved by their work. But it is impossible to say that Christianity did not inspire the work of these and other great Renaissance masters. Note: The above article was originally posted on Giorgione et al... on March 31, 2012. For some reason, not fully understood by me, it has become by far the site's most popular post. *Eamon Duffy: The Stripping of the Altars, Traditional Religion in England, c. 1400--c. 1580. Yale, 1992. **Robertson, Giles: Giovanni Bellini, Oxford, 1968.